Conventional sewing machines are pedal operated, and these work by pedaling to control stitching speed. Even though these sewing machines are mainly used, they may be a bit sensitive to use by children. In place of these pedal operated machines, you can acquire a button-operated sewing machine, where a button is pushed to stop or start the machine. These are much safer for kids. 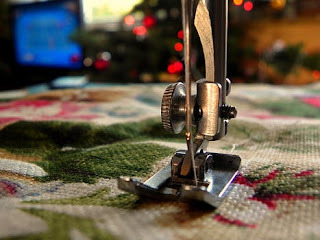 You should choose a sewing machine with a number of stitch variety that the child can handle. A beginner child can cope with not more than 10 stitches, while a more experienced child can operate over 20 stitches. To be safe, just look for the basic stitches such as zigzag, straight and reverse. Children may be frustrated when they are threading the needle. Have a sewing machine that has an easy to follow instruction diagram that the child can practice with. Another option is to acquire a model that has an automatic threading option. The ideal sewing machine for kids should have a bobbin slot that is easy to find and open even by children. The bobbin should also be easy to install into the slot and wind up so that the child will not get frustrated. When acquiring a sewing machine for your child, it is paramount to acquire one that is lightweight, depending on the child. The machine should be light enough to be carried by the child, since they may be interested to carry them around when they go for trips or to their grandparents. Since the sewing machine will be operated by a child, it is important to acquire a sewing machine that has a comprehensive warranty, since children can be a bit clumsy and curious, which will result in the machine being broken. Some children may be curious to find out how the machine works, and as a result, they may open up the machine. A comprehensive warranty will ensure that the machine can be fixed or replaced in case of any of those eventualities. In addition to warranties, a child’s sewing machine should be riddled with safety features. The machine should have warning posters on them to prevent children from touching electronics needles. The machine should also have a finger guard to prevent the children from getting injuries. The sharp point should also be “baby-proofed” so as to prevent any accidents while the children operate their machines.